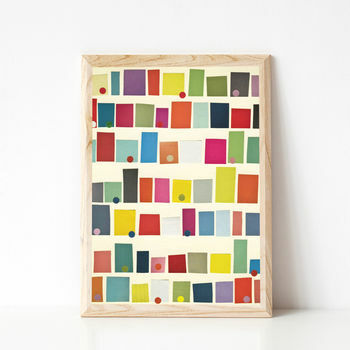 A colourful abstract city print in every colour of the rainbow. A modern geometric print featuring a busy city scene. 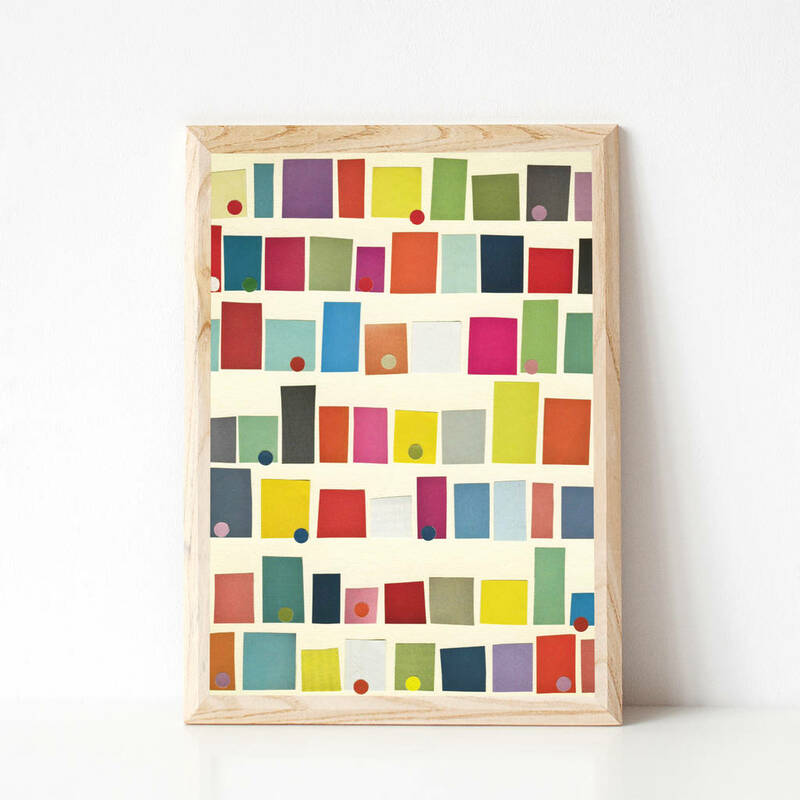 This piece is inspired by the colourful houses in brighton as they hug the hills. Row upon row upon row. 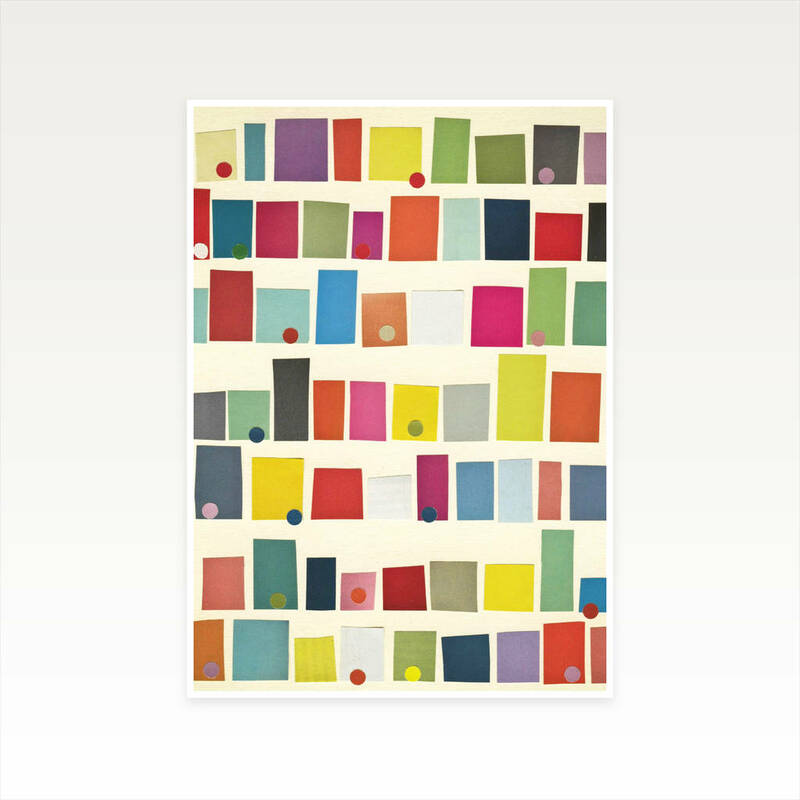 This print would suit any room in need of a splash of colour. A real statement piece for both men and women.